I am a busy mom of 3 kids. I have said it before. It was even implied today at the store that I wouldn't have time to do other things because I am too busy with my kids, you can watch that video over on FACEBOOK HERE. And because I am busy, I choose to do 30 minute workouts at MAX EFFORT. Gone are the days of just going through the motion and using lighter weights. Now, I work for the body that I want. I used to think that I had to exercise for 2 hours a day to lose weight. I was literally doing 2 hours of the elliptical a day 8 years ago. But that isn't the case. At all. Not if you are giving it your all and actually pushing yourself, and WORKING. You can do just 30 minutes a day of exercise. 30 Minutes Of Effective Exercise WORKS! Just think about. If you did 30 minutes on the treadmill of walking at 2.8 speed for 30 minutes compared to doing interval training at a 30 second run and 1.5 minute fast walk, which is going to make you feel more out of breath? Which one did you work more towards. Don't get me wrong. Walking is great. If you love walking, great. But I am talking about the max effort to GET your results in your timeline. Sure, we all have days where we drag and just don't want to do it, but you still need to do it as best as you can even on those days. Make sure you are trying the move before you modify, unless you have preexisting injuries. If you are just getting into exercise or have been away for awhile. Try the move at least once to see where your starting point is. YOU MUST USE CORRECT FORM THOUGH. Don't strain yourself though. If you can't get into the move, modify for sure. But it is best to try before you modify. You might be surprised that you can do 5 jump squats when you didn't even think you could do 1! If you have been doing the same workout for 3 weeks and you are still doing the same move at the same speed it is time to take it up a notch. Increase your weight. Or go just a hair faster. Jump higher. Whatever you have to do to take it up a notch. Ever week do just 1 more rep than you did the week prior. This helps you see and feel how much stronger and better you are getting. And it is causing you to make progress in your workouts instead of just staying stuck at what you have done before. If you are aiming to be sweating by the end of your workout then that means you worked your heart. And increased your heart rate. THAT IS GOOD! I have heard people don't want to sweat while exercising because they don't like to sweat or have to go back to work. Go on a walk and get a short little bit in but...It should be a fast walk and if not, then it might be time to find another time to do a more higher intensity exercise. You want to reach your goals right? Then you have to work for it! Your heart rate should go up a little bit and by doing that your body is exerting and will start to perspire to help cool you off. Even bit of sweat you drop is that much closer to reaching the body you want. Don't back off on what you are doing just because of a little sparkle! 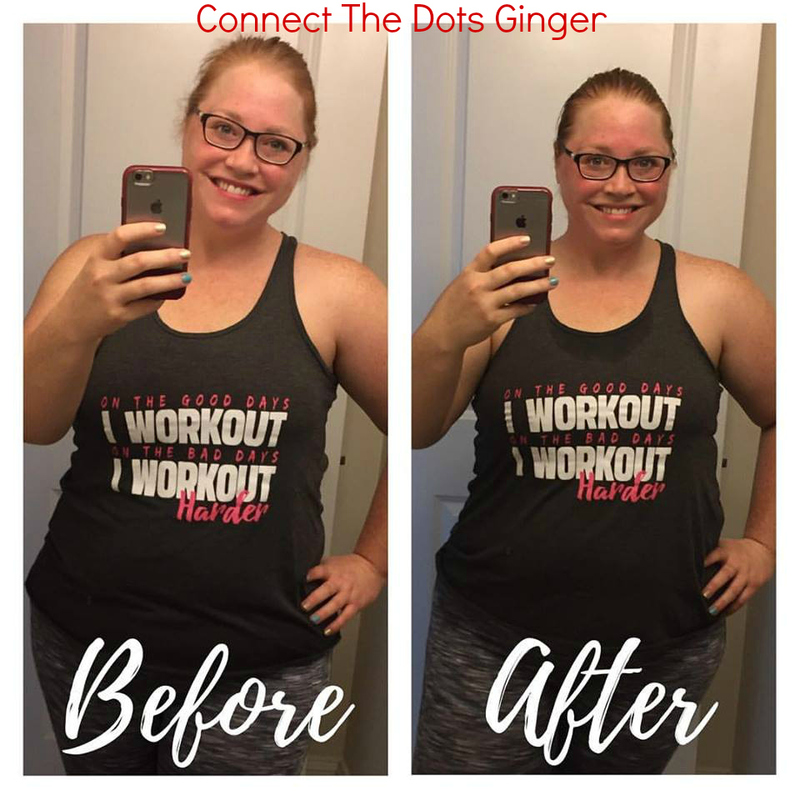 Believe that you can actually do the workout or actual exercise. Burpees, I hate them. Just like everyone else. They are hard. They spike my heart rate like CRAZY! And often I will modify before I try because I know what they do to me...But not anymore. My goal is to always do one full out. Then the next time I have them do 2 and so forth. I can no longer be stuck. I know I can do this and I know that I can work my body. Time to start believing it! Want results you have to do something every day to get them. That means you have to workout 4-5 times a week. Think of it as your job (it can be by the way. Through coaching just like me! Have questions? Send me an EMAIL!) . Think of it as part of your everyday chore. How ever you have to think about it but you have to do it everyday. Just here and there isn't going to work anymore. It has to be on a regular basis. Ready to make a complete lifestyle change and rock your goals and results in just 30 days? 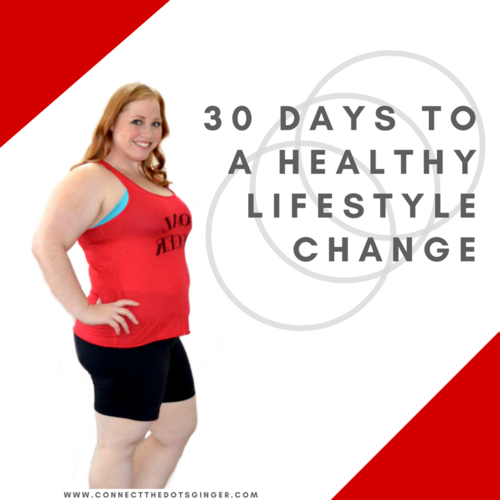 Be sure to get my 30 Days To A Healthy Lifestyle Change Workbook to help you learn the tricks to make a true and lasting lifestyle change!